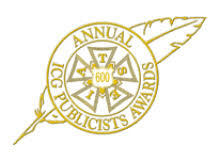 The International Cinematographers Guild (ICG, IATSE Local 600) has announced the nominees for the 56th Annual ICG Publicists Awards which will be held at the Beverly Hilton Hotel on February 22, 2019. The announcement was made by the ICG Publicists Awards Chair Tim Menke. As previously announced, the publicists will honor legendary actress Jamie Lee Curtis with the Lifetime Achievement Award and acclaimed director Jon M. Chu with the Motion Picture Showman of the Year Award. Still to be announced is the Television Showman of the Year Award.